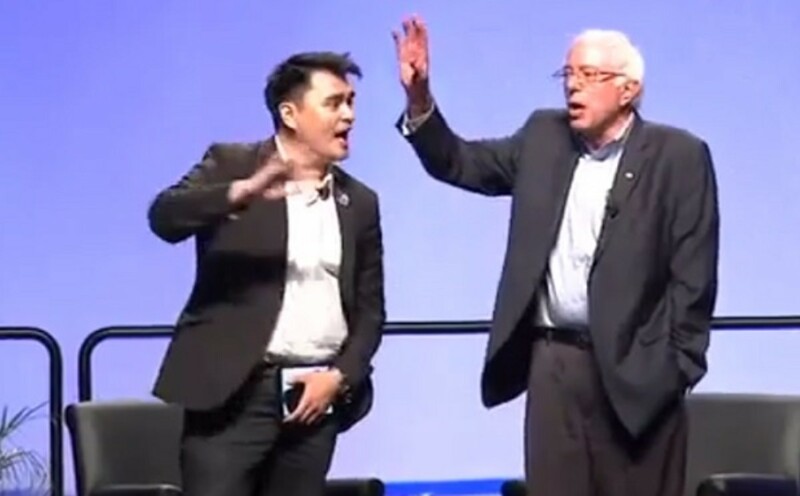 Both Bernie Sanders and Martin O'Malley had their Netroots Nation forums disrupted by #BlackLivesMatter protesters, but Sanders' response prompted a Twitter blacklash that just went on and on. 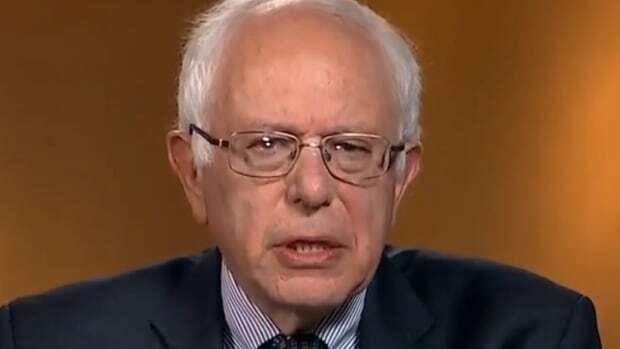 Presidential candidate and independent Vermont Senator Bernie Sanders packed the house for another of his mega-attended speeches this weekend, as an estimated 11,000 people showed up to hear him address the liberal Netroots Nation conference in Phoenix, Arizona on Saturday. 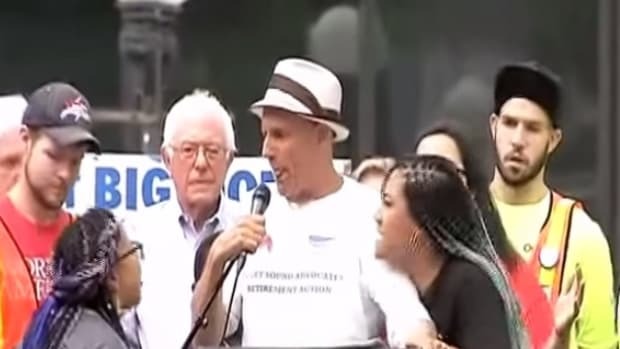 Earlier in the day, however, the disconnect Sanders has experienced with black voters came to a head when #BlackLivesMatter protesters disrupted his forum at the conference, and his response prompted a Twitter hashtag, #BernieSoBlack, that trended all weekend. It all started when former Maryland Governor Martin O&apos;Malley was interrupted by protesters, whom moderator Jose Antonio Vargas ineptly allowed to completely take over. He later defended himself by saying that he didn&apos;t want to "silence" the protesters, but there&apos;s a huge gulf between silencing, and what Vargas did. 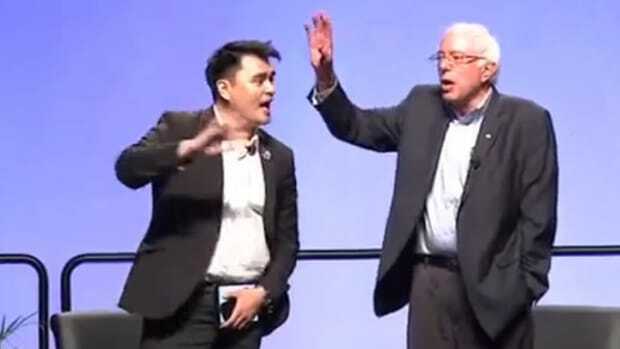 When he wasn&apos;t taking pictures and tweeting, Vargas spent nearly twenty minutes enacting a modern-day Charlie Chaplin routine in an attempt to regain control of the event, which will likely mark the last time any presidential candidate attends the conference. O&apos;Malley, for his part, was doing pretty well for himself for awhile there, doing the thing that activists most want leaders to do: listen. O&apos;Malley stood by as activist Tia Oso, whom Vargas invited onstage, and took full advantage. As any activists worth their salt would do, Oso and the protesters got their message out for as long as they could, which turned out to be about sixteen minutes. O&apos;Malley&apos;s clueless good sport posture is perhaps best, and most hilariously, illustrated by his attempt to get jiggy with the protesters&apos; chant of "What side are you on?" "Black Lives matter, white lives matter, all lives matter!" Oh, man, he even repeated it for emphasis! "All lives matter" is enough of a red cape for #BlackLivesMatter (as Hillary Clinton found out recently), but he went and threw in "White lives matter," too. The entire point of #BLM, of course, is that other lives aren&apos;t devalued in the way that black lives are. O&apos;Malley was quick to apologize on the This Week in Blackness podcast, where he also outlined some more policy steps. 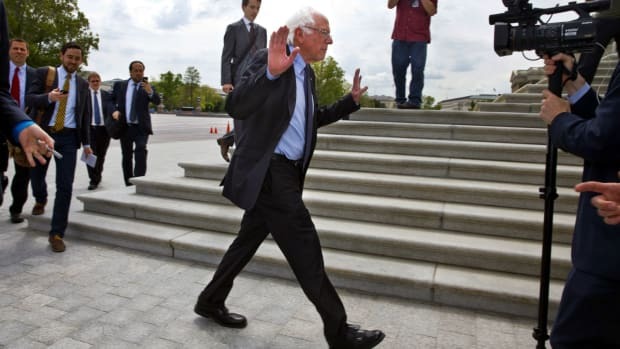 Enter Bernie Sanders, who came into the conference in a bit of a hole with black voters, and whose guiding principle has been, at best, that what&apos;s good for everyone (white people) is even better for black people, that economic fairness and dissolution of corporate influence in politics will clear the way to solving everything else. At worst, it&apos;s an explicit appeal to white voters that excludes black voters and their issues. "I spent fifty years of my life fighting for civil rights, and for dignity, but if you don&apos;t want me to be here, that&apos;s okay." When protesters are asking you about the in-custody death of activist Sandra Bland last week, and your answer is something you did in 1962, that&apos;s a problem. It&apos;s a problem that Democrats have been wrestling with for a long time, because even within the party, there are deep resentments among white voters. Many working-class white Democrats see the Democrats&apos; engagement on black issues as a necessary evil, but still harbor the same perceptions about crime, preferential treatment, and public assistance that other white voters do. At the other end, there are liberals who care about black issues to a point, but the minute you press them, start asking "Where&apos;s the gratitude?" Even Hillary Clinton, who is doing an A-minus/B-plus job with black voters this go around, hasn&apos;t quite figured it out. Aside from that "All lives matter" misstep. 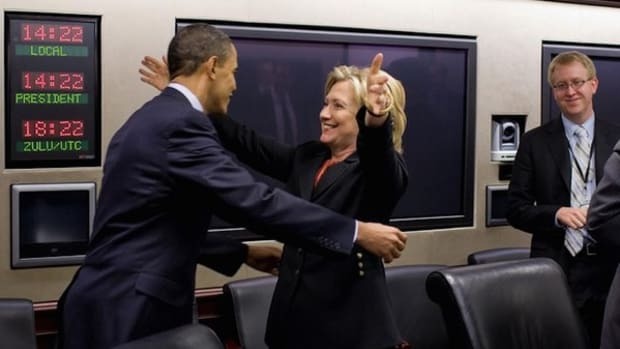 Clinton has made policy solutions to black issues a major focus of her campaign, but what no Democrat has ever done is to effectively message black issues to the rest of the voting populace, not even President Obama. Fairness only sells so far; at a certain point, Democrats need to figure out how to reverse the Sanders message, and explain to people why what&apos;s good for black people is also good for everyone else. Republicans have their "Rising tie lift all boats" Jedi mind trick to fool their weak-minded supporters into giving everything to rich people. Democrats need to figure out a similarly pithy way to describe this basic (and actually true) concept. 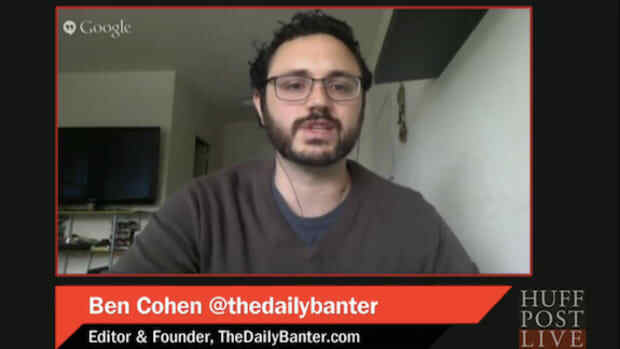 Until they do, though, Sanders and his supporters need to realize that this is not rocket science. 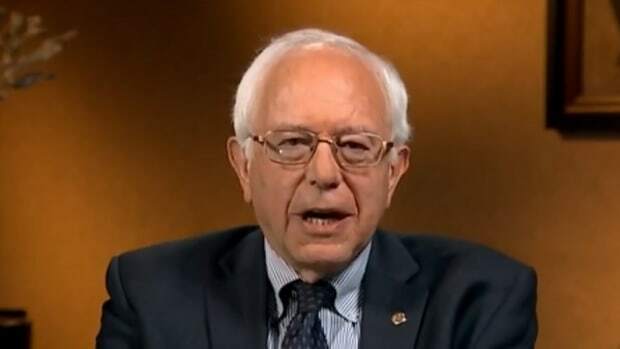 Later in his speech, Sanders promised to nominate Supreme Court justices using Citizens United as a litmus test. I&apos;m sure all voters would benefit from not having to watch Koch-funded ads, but what good does that do you if you can&apos;t vote? 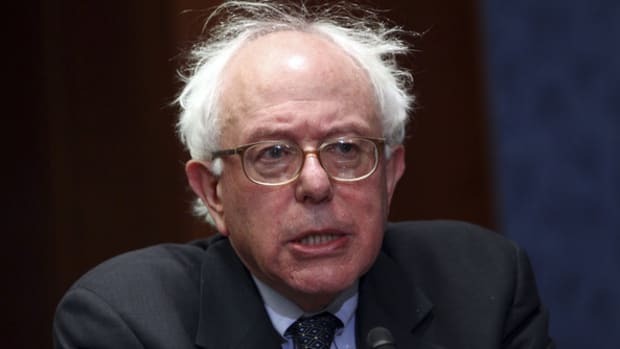 Sanders could have easily made protecting voting rights a part of that speech, but he didn&apos;t. He could have offered any of the policing and justice policies that Hillary Clinton has, but he didn&apos;t. Getting arrested in 1962 isn&apos;t going to make up for that.